Polarize are an indie rock/heady pop band from Melbourne. 'Do What You Want' will be their first major release. 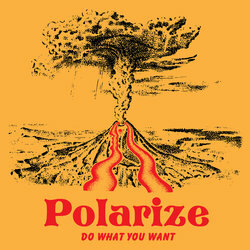 Polarize is the brain child of Rudie Dodd, after disbanding their high school band ‘Police & Thieves’ he decided to create a new name that represents his cohesive vision. 'Do What You Want' is shimmering pop song that has a guitar line that will get you hooked from the very start. The song constantly morphs and changes from the catchy and engaging verse section, to an angelic falsetto chorus, into a fuzzy cosmic spoken word bridge, before it descends into a melodic orchestra of guitars for the outro.